Nothing can compare to the organic sound of analog delay, and no one does analog like the Deluxe Memory Man! Up to 550ms of vibrant echo that rivals tape delay; lush, spatial chorus and haunting vibrato are just a few of the treats in the Deluxe Memory Man's sonic schmorgasbord! Analog warmth that renders digital delay obsolete -- Memory Man echo with chorus/vibrato! 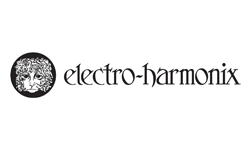 Same Day Music is an authorized dealer of Electro-Harmonix products. Available until 7 PM (EST) today. Mention special code 1ZP-G864 when you call.